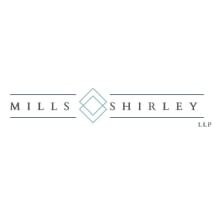 Mills Shirley LLP is the oldest law firm in Texas. Attorneys with the firm have been protecting the interests of businesses, individuals, families and public entities since 1846. While we are proud of our tradition, we work hard every day to earn the trust of our clients. Mills Shirley LLP offers generations of experience with business and commercial matters. Clients from a variety of industries look to us to help them solve business problems and capitalize on important opportunities. Several Mills Shirley attorneys are board-certified by the Texas Board of Legal Specialization. Some have been included in the list of 2015 Super Lawyers and have received many other awards and designations from their peers in the legal profession. Contact Mills Shirley LLP to talk about your current legal challenge. We welcome the opportunity to work with you.